Are You Relying Too Much On Your Intact Limbs? Researchers from the University of Salford have conducted a study to show those with prosthetics limbs that they may be overly reliant on their intact limbs. In previous tests, clinicians relied on data from questionnaires from prosthesis patients. In the first major study of its kind, researchers used electronic sensors to get details about the daily activities of a group of patients with one prosthetic hand over the course of one week. The group of participants in the study ranged in ages and included those born without limbs and those who required an amputation. Electronic sensors were placed on both the wrist of the prosthetic hand and the intact hand in order to measure activity over the course of the week. This technique gave the researchers very accurate data about the usage of each hand. The results were then compared against a similar group of 20 people that had both of their limbs intact. The results found that all of the prosthesis users showed an increase in reliance on their intact hand. They also found that those who had more recently had their prosthesis had a higher percentage of reliance than those who have had their prosthesis for quite some time. 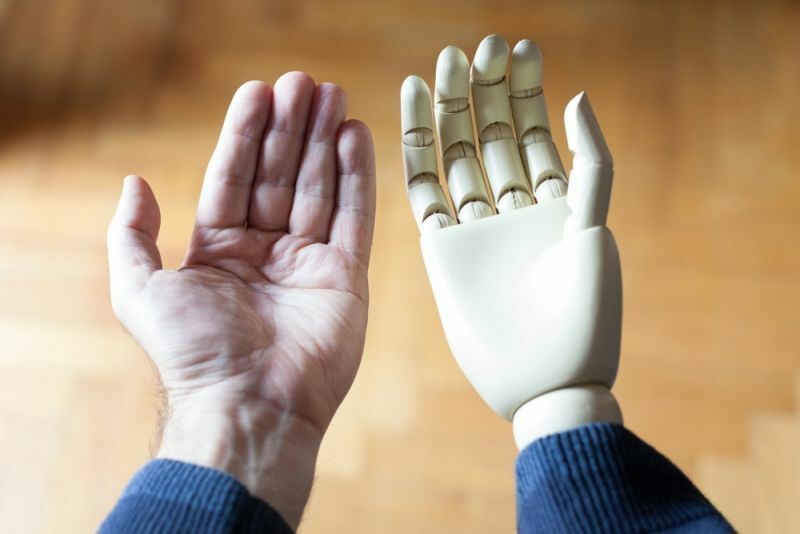 The researchers also looked at the number of people that were wearing their artificial hands during the day – as some prosthesis users choose not to wear their devices all the time, but they found that there was no relationship between this and their reliance on their intact hand. As research continues, and new ways are developed, it’s important for prosthetic patients to be aware of their limbs and how they are distributing tasks. Over reliance on one limb may put that limb in risk of injury. If you have concerns, be sure to speak to your physician or your practitioner about ways you can lessen the strain. http://www.greenprosthetics.com/wp-content/uploads/2018/10/lightbox.jpg 534 800 Darren Angerer http://www.greenprosthetics.com/wp-content/uploads/2017/10/Green-Prosthetics-Logo-1.png Darren Angerer2018-10-12 13:44:542019-02-08 17:41:11Are You Relying Too Much On Your Intact Limbs?